HFS Parents are required to pay Tuition, Fees and Other Charges in a timely fashion. Tuition is billed monthly from August to May. Fee’s and other charges are billed throughout the year. HFS Parents are required to be an active participant in the Family Service Program. HFS Parents are required to actively support all Parent Guild School Fundraising activities. The required combined fundraising/scrip commitment per family for the 2018-2019 school year is a minimum of $550. This commitment can be met via support of the Scrip or Jog-a-thon fundraiser or a combination of both. $700 Buyout by September 30, 2019 (May be split into up to three (3) consecutive payments via Smart Tuition beginning no later than your November invoice) This buyout is charged to your April Smart billing if there is no fundraising in Scrip or Jog a thon. Holy Family School is committed to providing all students with a meaningful Catholic education. As primary educators, parents should feel compelled to support their child/children with a personal faith commitment to the parish. Families are required to attend Mass regularly, use donation envelopes regularly (minimum of $10 per week to the church collection) and participate and support Parish activities. The Parish will send quarterly reports. 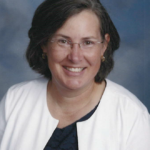 Families who fall below this may be subject to non-parishioner tuition rates. 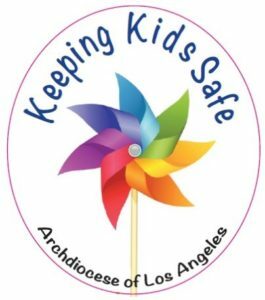 In compliance with the Los Angeles Archdiocese, as well as the Holy Family School Admission Requirements, Holy Family School requires compliance with the Safeguard the Children Program to help ensure the safety of our children for the good of the entire school community.